Two weeks after her passionate plea went viral (seen below), the Clark County Commission passed Daphne Lee’s Anti-NDAA resolution 6-0 shortly after noon on Tuesday. This resolution condemns the detention provisions of the 2012 National Defense Authorization Act (NDAA) as unconstitutional, and urges Nevada’s congressional delegation to take action to repeal those provisions. The 2012 National Defense Authorization Act was overwhelmingly passed by Congress and signed into law by President Barack Obama on December 31, 2011. 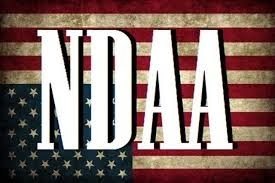 The 2012 NDAA declared the United States a battlefield in the war on terror and two provisions, Sections 1021 & 1022, authorized the indefinite detention, without charge or trial, of any person, including American citizens, accused by the President of undefined "support" of terrorist activity or commission of a ‘belligerent act" and the application of the laws of war to U.S. soil. While PANDA does not support the specific language in the resolution, the effort and education that came out of this push has been tremendous.